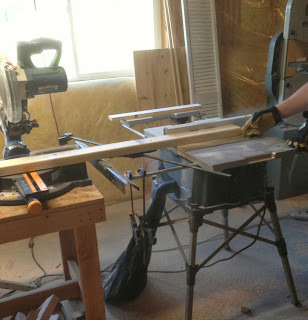 First, cut your 2x4 down to 2" wide. 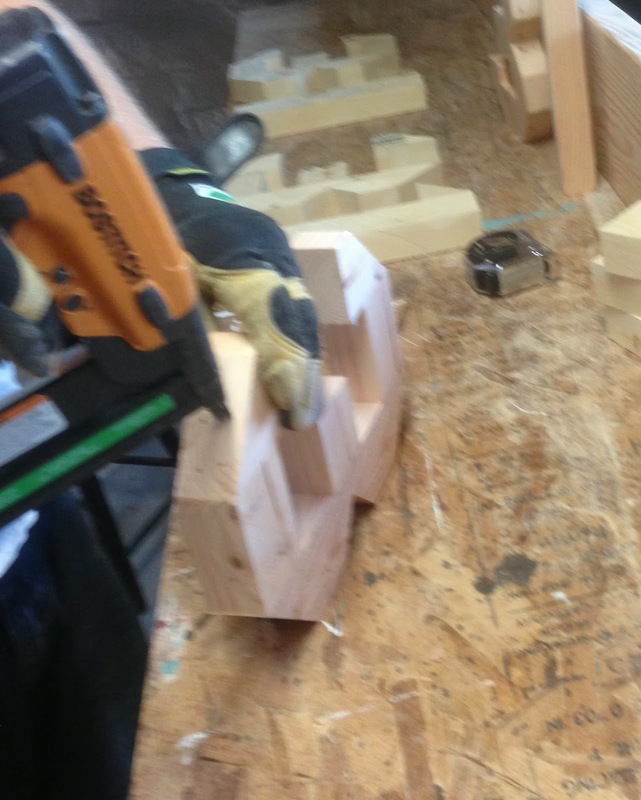 Next, cut pieces that look like these. Then, using a band saw we cut the notch out. 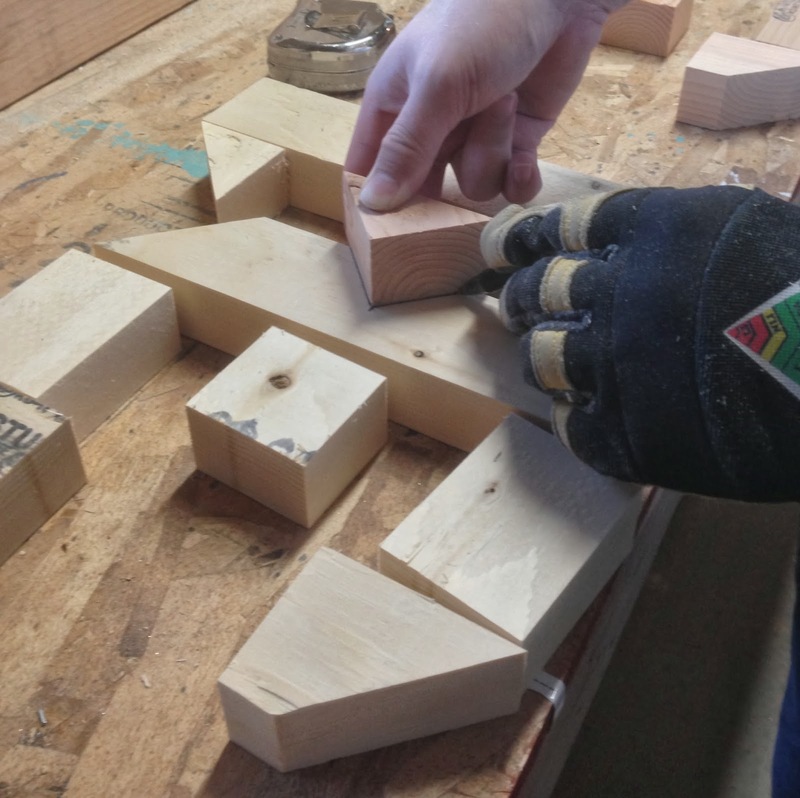 Next, assemble the "3" and "1" by nailing the pieces together. 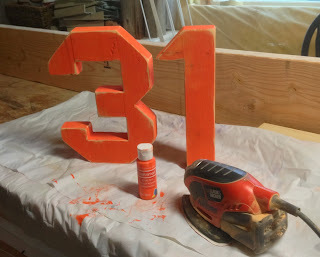 Before you paint, be sure to sand the numbers. 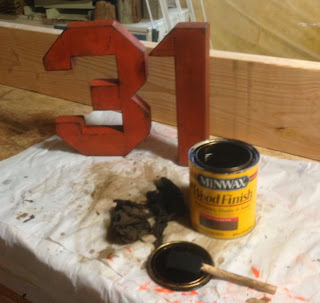 Now the "31" is ready to paint. After the paint is dry, distress the numbers, then rub stain all over the numbers and wipe it off with some paper towel. 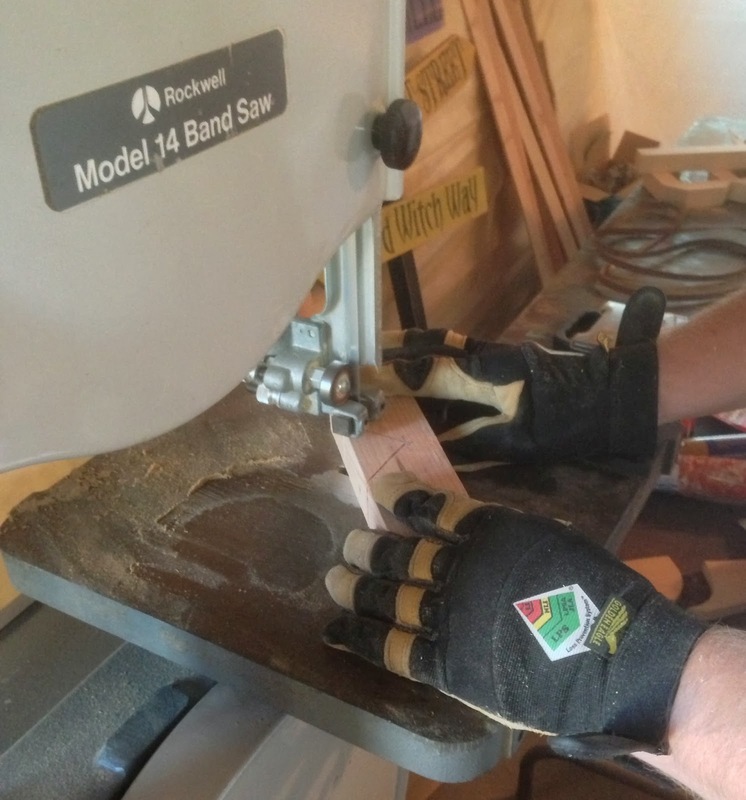 My bat it cut out of thin MDF. 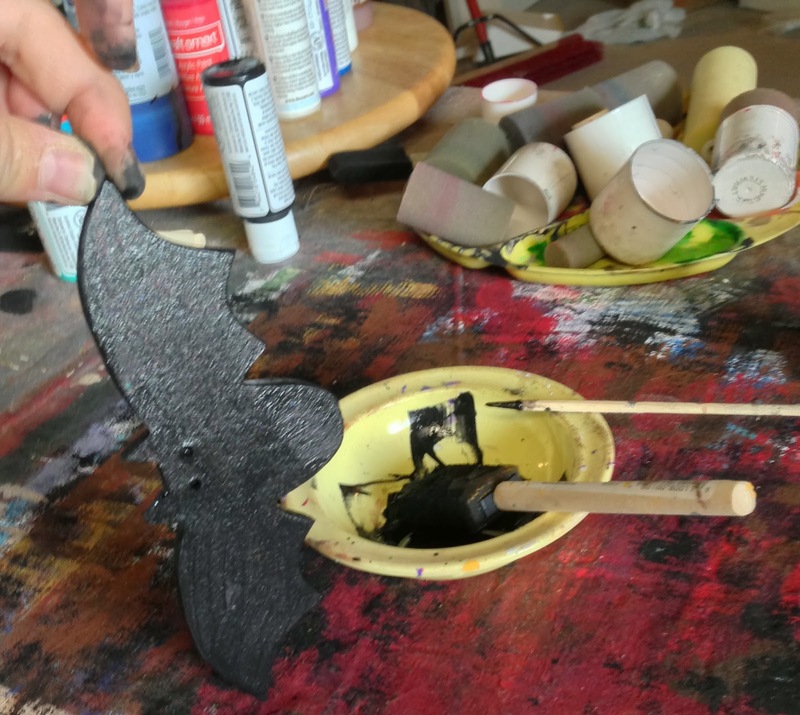 First thing you need to do is paint the bat black. While the bat is drying, grab a piece of paper and dump some glitter in a pile in the middle of the paper. Once the bat is dry, paint the front again. 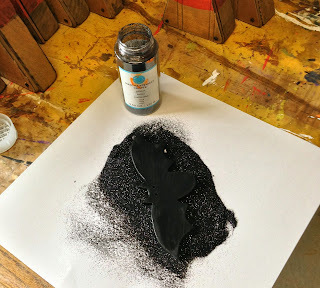 After you paint the front of the bat, immediately stamp it in the glitter. Before I do the next step, I sprayed the bat with glossy clear coat spray and let it dry. Once it has sat for about ten minutes, I drilled two little holes in the middle of the bat. Next, cut some wire and thread it through the two holes. Grab a pencil and wrap the wire around it to make a spiral. Next, drill a small hole on the top side of the "3". 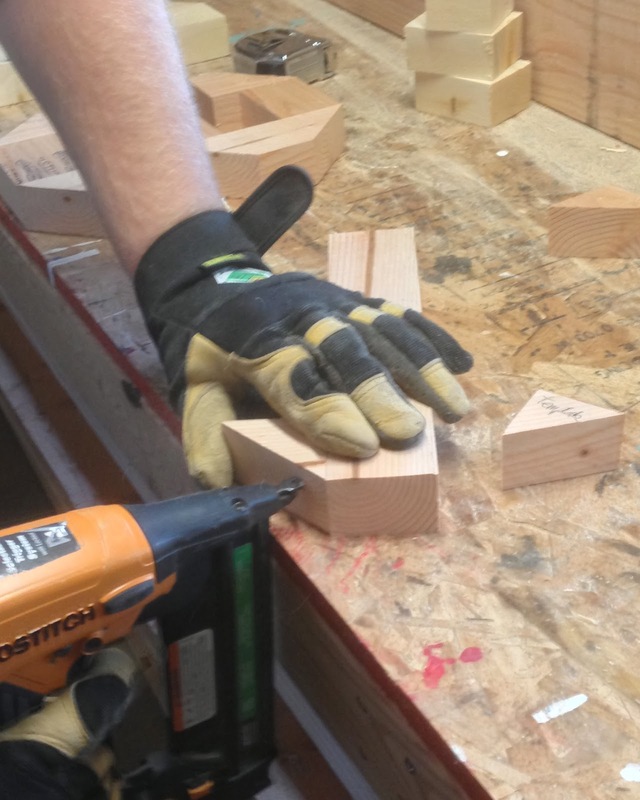 Stick the end of the wire spiral into the hole.